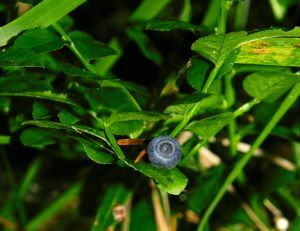 A close relative to the blueberry (as you can tell in the photo), the fruit has impressive antioxidant properties and is historically linked to eye health. Studies indicate that the berry, with its abundance of antioxidants, may also be effetive in protecting the body against carcinogens and free radicals. A study done in Canada in 2006, found that the berry can help and may be able to prevent and slow the progression of neurodegenerative diseases (like Parkinson’s), mainly due to its antioxidant powers. 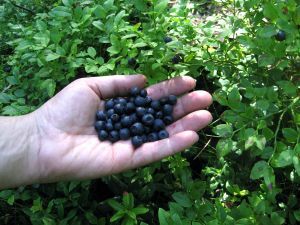 Do you know some fun facts about the Bilberry? If so, leave a comment and share them with us! This is not a picture of a bilberry bush which grows berries on individual, single stems. Thanks for the heads up – because I am a one man show sometimes I have to rely on Google for images and well, I guess this one was mislabeled. 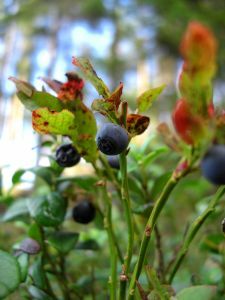 Do you have an image of a bilberry bush that I could put on the site – I would be happy to give full credit to whoever took the image.